John Fogerty is an American rock singer, songwriter, and guitarist, best known for his time with the swamp rock band Creedence Clearwater Revival (CCR) and as a #1 solo recording artist. John Cameron Fogerty achieved fame as the lead singer/songwriter and guitarist in Creedence Clearwater Revival and has since gone on to a chart-topping solo career. Born in Berkeley, CA, Fogerty and his brother Tom organized the group that would become Creedence as the Golliwogs in the late '50s. As Creedence, they released nine Top Ten singles, all written by Fogerty, between 1969 and 1971, and scored eight gold albums between 1968 and 1972, all fueled by Fogerty's simple, driving rock songs and his burly baritone, intoning deceptively poetic and even political lyrics. After the band split up in 1972, Fogerty embarked on a successful solo career. 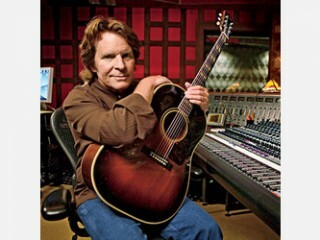 View the full website biography of John Fogerty.